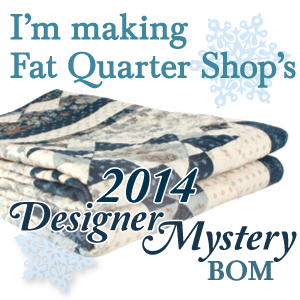 So glad that BOM Rehab coincided with a new release for the Blogger Girls BOM pattern. The third block in the series was available Friday, and I was done with both versions by Saturday night. I have even tackled my fear of Flickr and uploaded my pictures into the Blogger Girl’s group for all to see! This was a neat block… I didn’t much like how my first one ended up. Not enough variation in scale of prints I think. But it will mix in overall, so I’m leaving it. 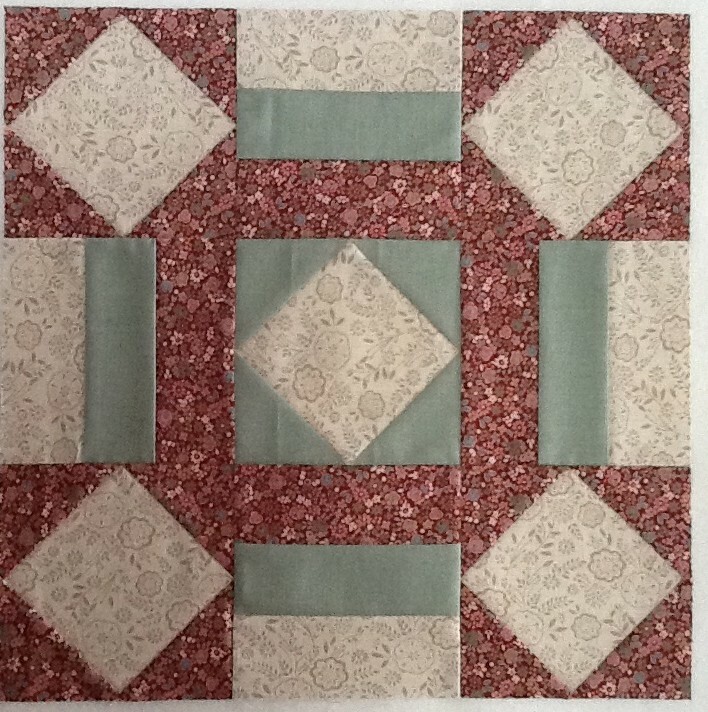 I love my alternate block setting and fabric selections. 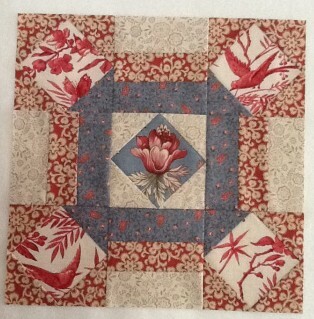 I went with a layout that I saw from Lisa of Stashmaster blog fame. She highlighted the churn dash design in the center, which I did as well. 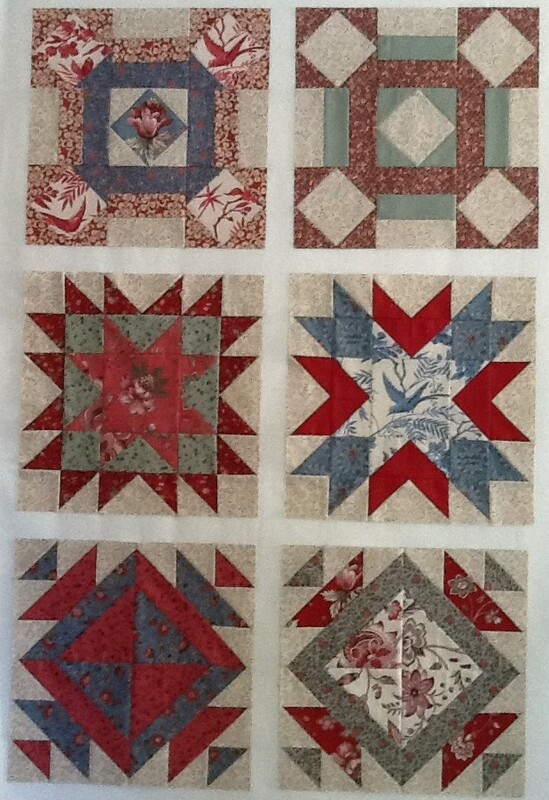 I came across some random stash yardage of La Petite Ecole by French General and used the red floral from it to frame the outside square-in-a-square and the churn dash blue fabric. It mixed in really well. I’ve pull some other items from that group to consider on the next blocks too. The rest of the fabric is still from the La Belle Fleur collection that just came out. Not bad for a BOM Rehab finish! Your BG BOM blocks look great. Just luuuuurve your Avalon Blue Basket…….I wanna see more NOW!! 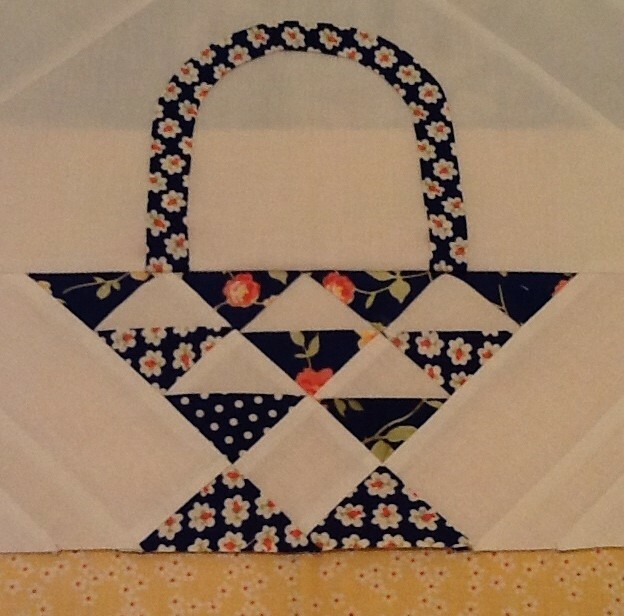 Love your BOM blocks, Jennifer, especially the Block 3 alt version with the fussy cut flower in the center! Love your blocks. I love every single quilt I’ve ever seen in French General fabric and this one is gonna be killer!